The Fly. Craft. Stealth. A name suitable for a helicar. A personal spaceship. 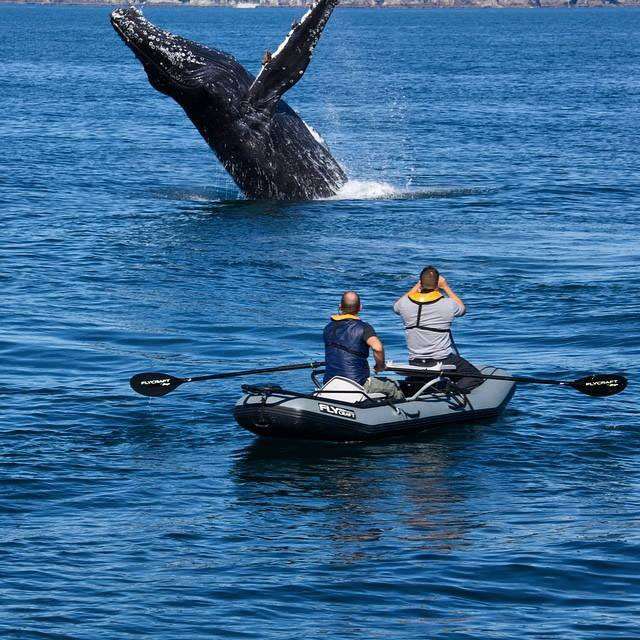 An...inflatable fishing raft. 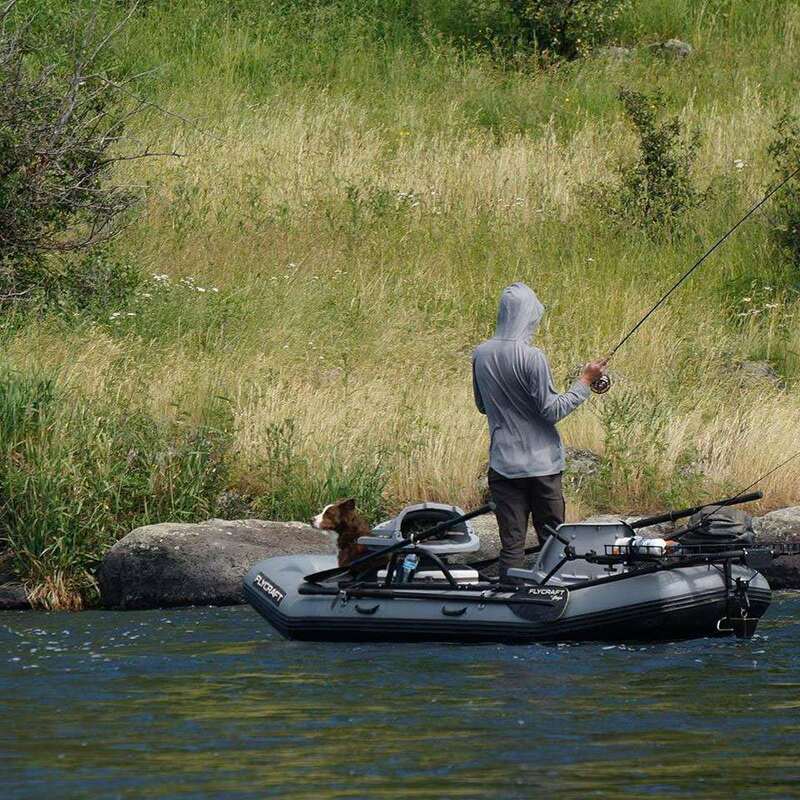 Flycraft's Stealth is an easy-to-transport, easy-to maneuver solo or dos-man fishing boat. 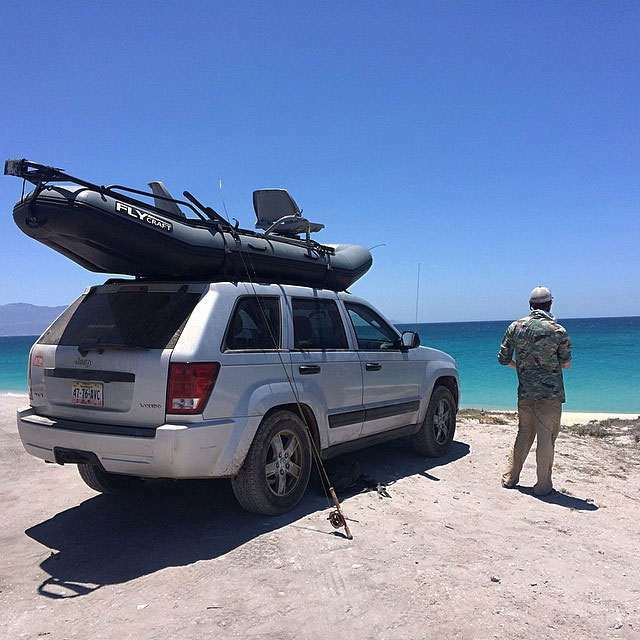 Despite its collapsible nature, the 12' x 46" raft is sturdy enough to battle big rivers and ocean expedition, yet still smooth and, uh, stealthy enough to float down streamers and drift in still water. It's also light enough for one person to load into a truck bed or onto the roof of a car. 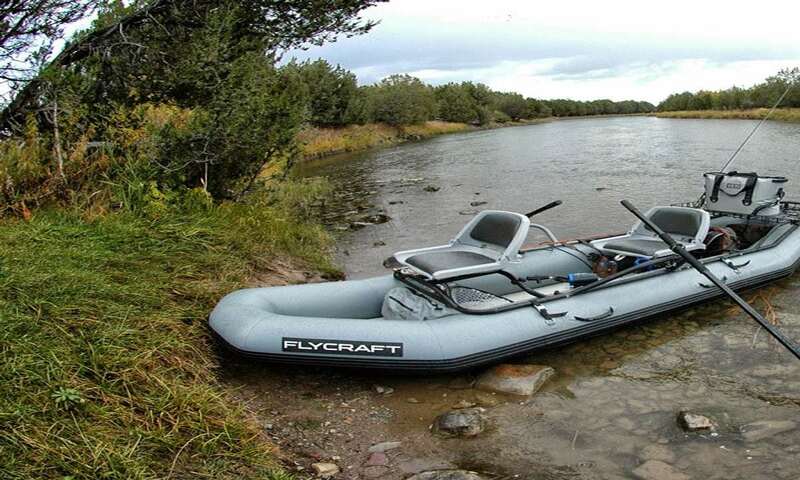 The self-rower does not come with oars, which Flycraft sells separately, along with an optional Honda 2.3 motor. 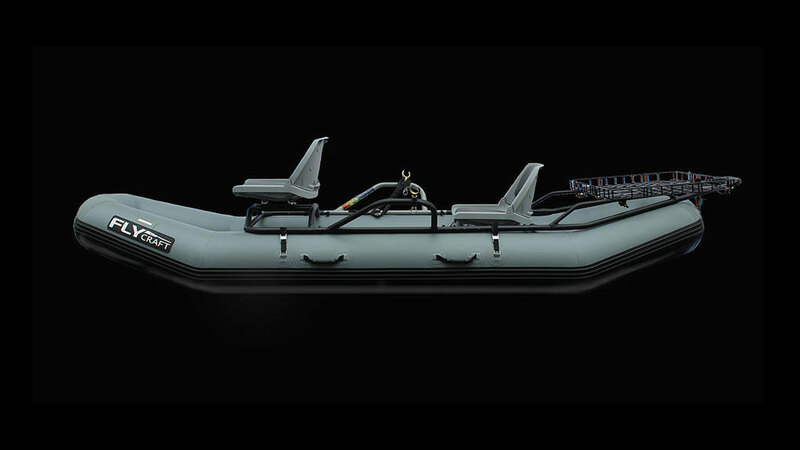 Flycraft Stealth boats have a 650-pound load capacity. Without oars and basket attached they weigh 98 pounds.